Audi has released details of its new TT Coupe S line competition special edition model. Building on the S line sport package and the S line exterior package, the competition can be specified on all engined cars up to the 155 kW (211 hp) version, and features newly designed bumpers, high-gloss black radiator grille frame with matte black insert, license plate frame and fog light grilles. 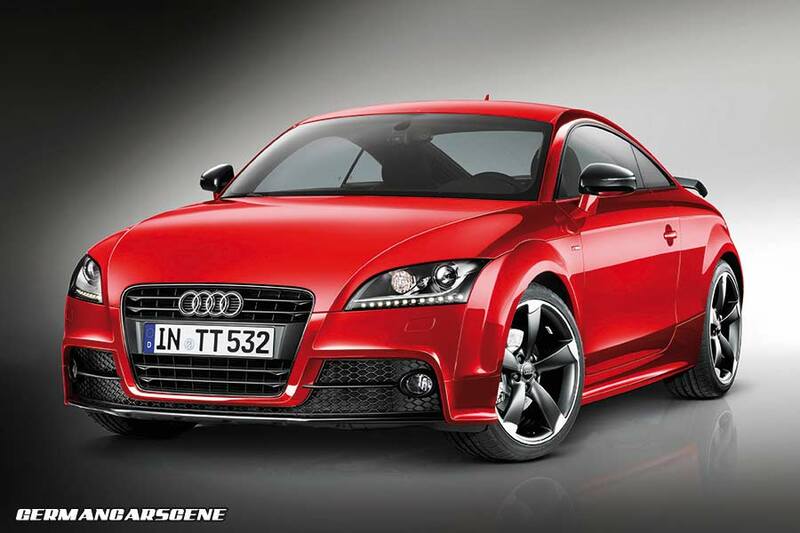 The lower front lip, mirrors casings, diffuser insert and tailpipes are painted in high gloss black, while the rear also sports a TT RS fixed wing. Completing the appearance are those Xenon plus headlights with LED daytime running lights, a set of black 19-inch five-arm ‘Rotor’ design alloy wheels and an S line sport suspension kit, providing a 10 mm drop in ride height. 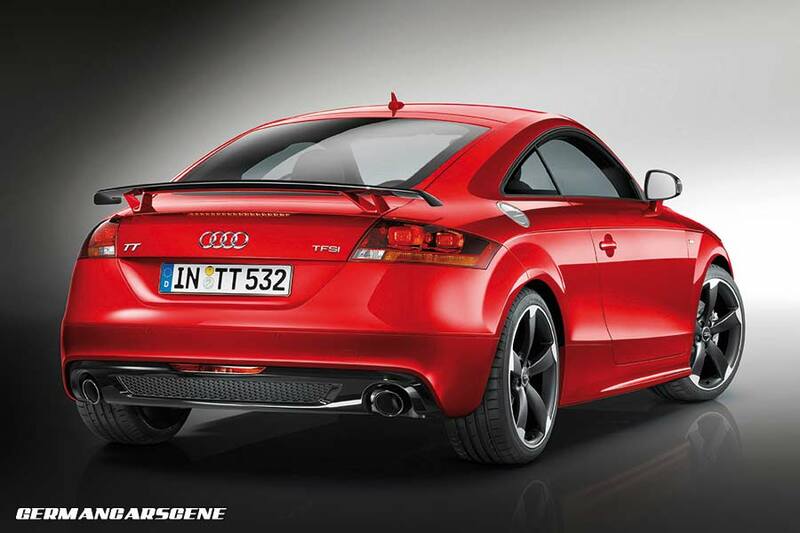 Moving inside, the cabin features the S line sport package, including special door sill plates, aluminium-look trim, and a leather-wrapped, TT RS multifunction sport steering wheel. The sports seats are upholstered in perforated Alcantara with black leather and silver stitching, while the usual brushed aluminium inlays are replaced with body-coloured items. The S line competition is available to order now, in either Samoa Orange, metallic, Glacier White, metallic, Daytona Gray, pearl effect or Misano Red, with optional pearl effect at no extra charge. The package price represents good value at € 4,300.